Savvy Spending: *HOT* Kroger Clicklist: Save $20 off a $50 order if it is your FIRST Kroger Pick up order! 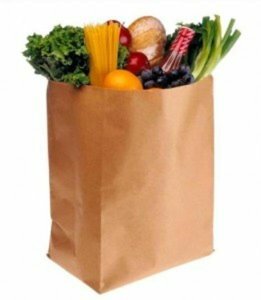 *HOT* Kroger Clicklist: Save $20 off a $50 order if it is your FIRST Kroger Pick up order! If you haven't tried Kroger Clicklist yet, there is a HOT coupon you can clip! Save $20 off your $50 FIRST Kroger Pick Up purchase! This coupon expires 10/20! I LOVE Clicklist! It saves me tons of time and money! I can order my groceries at home, use my digital and paper coupons, and take advantage of the HOT "Click List only coupons" that are offered. I don't buy things impulsively when I order online (which always happens when I shop in store) and I stick to my list and don't forget anything! If you haven't tried it yet, NOW is the time! Save $20 on your first pickup order when you spend $50 or more online. Where available online, alcohol, tobacco, Gift Cards, Money Services and prescriptions do not apply toward the minimum spend. Must buy all items in a single transaction. Coupon valid for first time pickup customers only. Not valid on delivery orders. Coupon will be applied when you receive your order. Limit one per household. Enjoy these special offers, for our ClickList customers only!